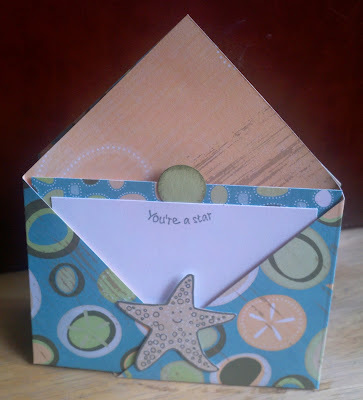 Welcome to the June episode of the Paper Trail Blog Hop. 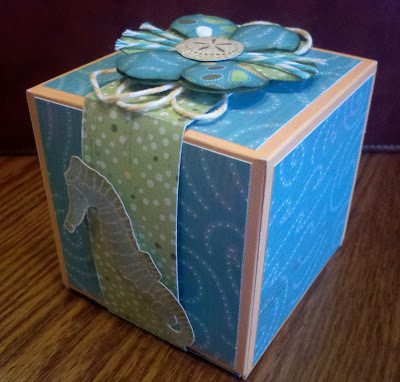 This month we are featuring the Close to my Heart paper packet called Footloose. 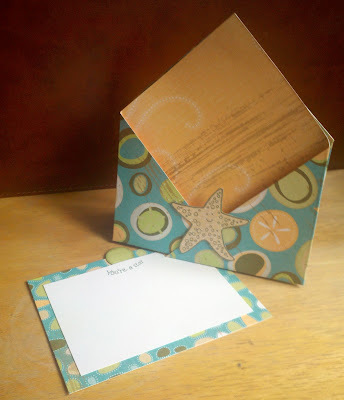 If you've arrived from Amy's blog, Pineapple Paper Artist, you are right on track. I'm still out of town and away from home so I decided to borrow some ideas from local artists here in the Seattle area. This first one is a double sided note/treat holder. 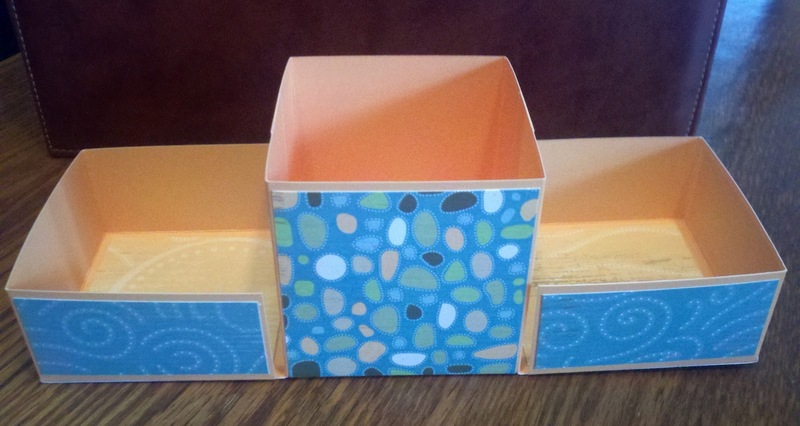 The design is incredibly simple and fun to play with. 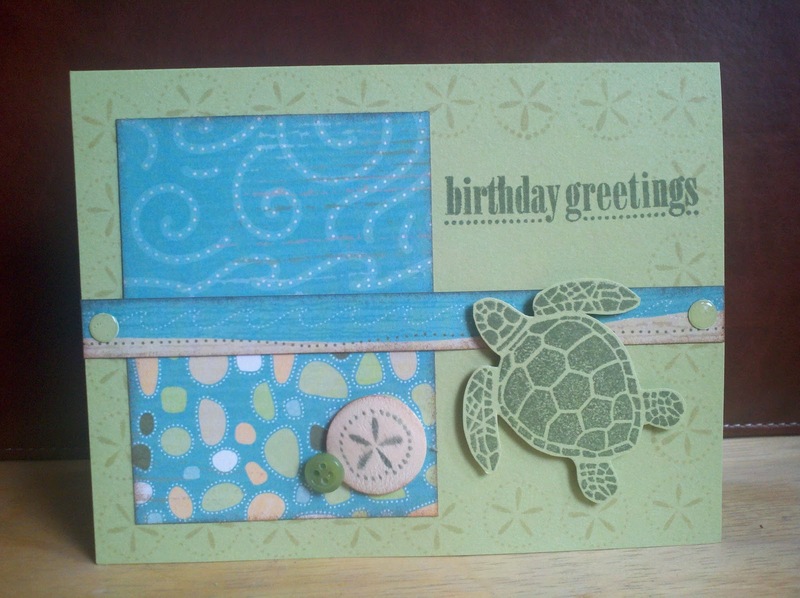 From the same paper artists I stamp lifted the design for this card. Simple & fun! My final project is a box my friend Ramona taught me how to make from one sheet of paper. I only wish I'd had a bag of Hershey Kisses to fill it with! Hope you enjoy my projects with Footloose this month. Now you are off to see Linda at the Paper Taylor. 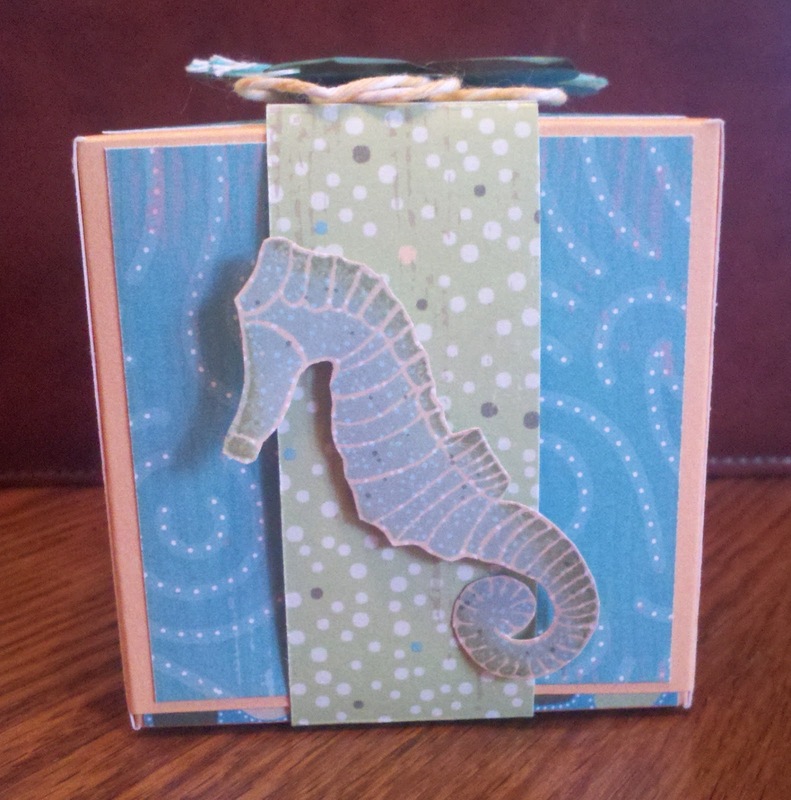 I'm totally wowed by your cardbox and cards! Don't you just love the sea creatures for this set! All your projects are darling! I especially love that cool box. 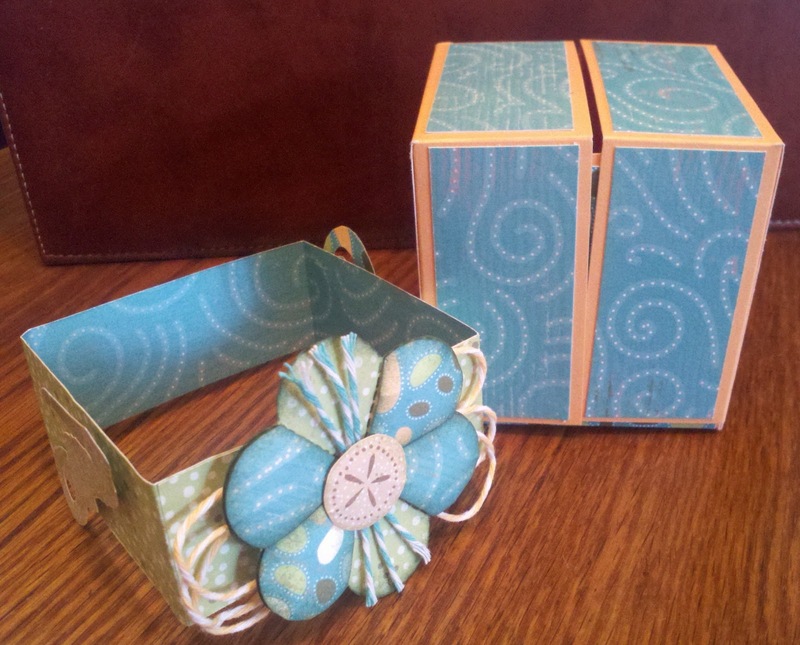 Love the two treat boxes! Isn't inspiration from new friends terrific? I always learn great things from you. This is another substantial blog.